Altaïr is one of Chile’s newborn stars. 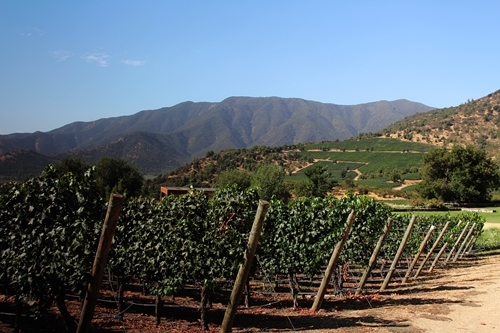 Their winery and vineyards are located in the Andean foothills, roughly 100 km south of Santiago, in a small subregion to Cachapoel called Rancagua. 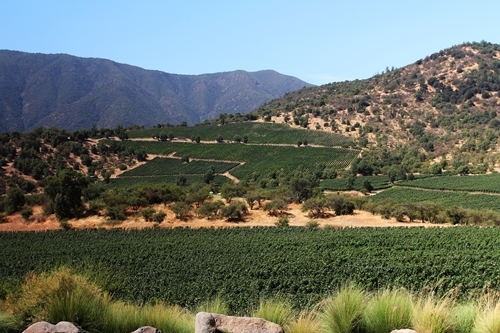 The terroir of Rancagua is foremost known for its distinctive Cabernet based blends. 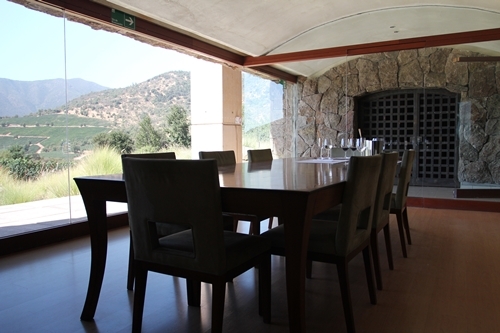 The property is located in the far east corner of the Totihue valley, in between hillsides and the Andes, which gives Altaïr one of the most impressive views in the subregion Rancagua. 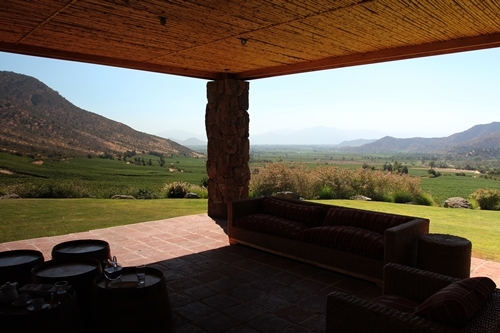 From their terrace you moreover feel the cooling breezes that flow through the Cachapoal valley. These cool not only the visitors to Altaïr, but also the surrounding vines and grapes, which mature significantly slower than the vines found on the valley floor. Their hillside vineyards on the eastern wall. The winery is named after the brightest star in the Aquila constellation. 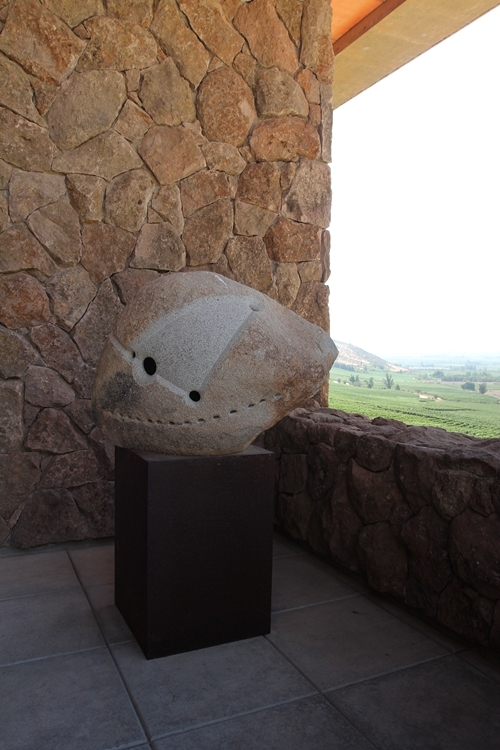 The star formation can be seen from both hemispheres and it symbolises the union between the New and Old World, as Altaïr was originally formed as a joint venture between Laurent Dassault (owner of Bordeaux’s Chateau Dassault and Chateau La Fleur) and San Pedro (Chile’s 2nd largest producer). 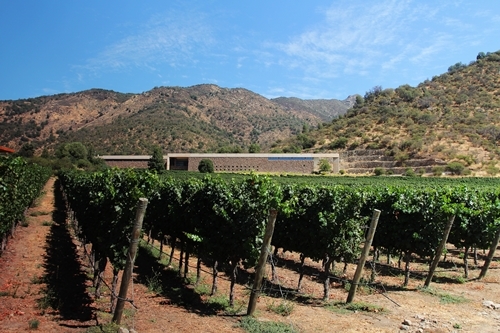 The partnership was formed with the intention of creating a Grand Cru of Chile. To attain this ambition, the vineyard site was developed extensively, with help from some of the World’s greatest consultants. The winemaking team is lead by Ana Maria Cumsille and she is assisted by the French Oenologist Pascal Chatonnet. The inclination gives their vineyards an elevated position and spectacular views. 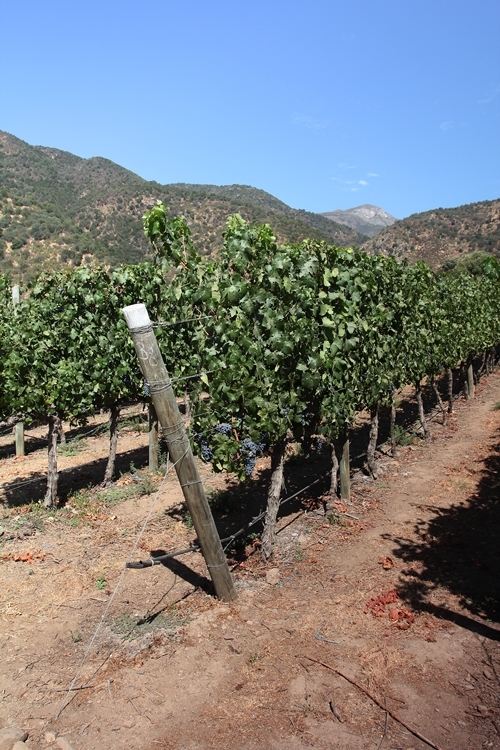 The 72 hectares of vineyards are planted to Cabernet Sauvignon (here captured), Merlot, Syrah, Cabernet Franc, Petite Verdot, and Carmenère. 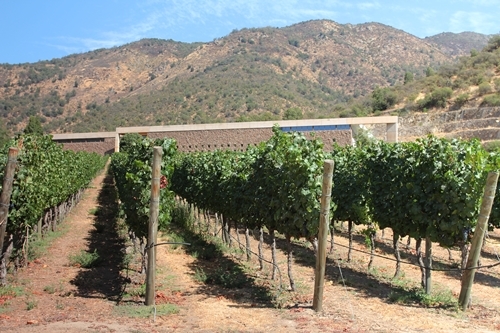 The vines are planted densely, and managed for very low yields. All the harvesting is done by hand, and the fruit is sorted twice at the berry level before it is crushed. 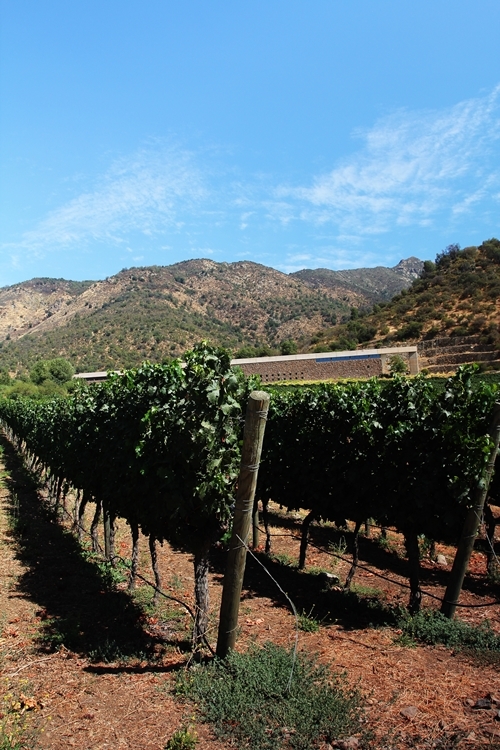 The Rancagua terroir is especially well suited for Cabernet Sauvignon, which is the backbone of both their blends. This is due to the distinctive soils, that are a combination of gravel and sandy loam. 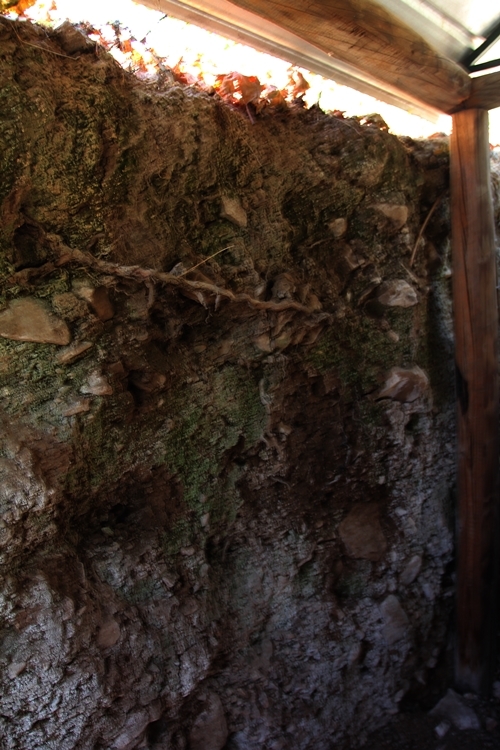 Ana and her winemaking team emphasise on the importance of understanding their terroir. 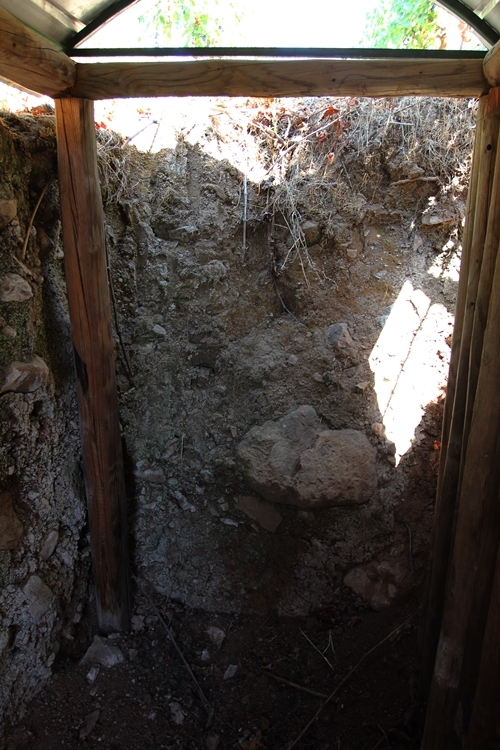 By excavating their vineyard, they not only get a better understanding of the soil composition, they also get to study the growth of the vine and how it reacts to variations of irrigation and vineyard management. 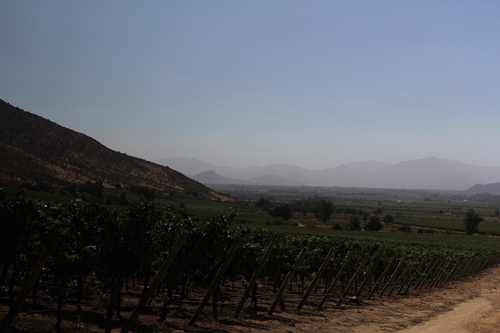 Eastern view across the vineyards and Andean foothills. The combination of a dry climate and controlled drip irrigation gives a sparse amount of cover crops between the rows. The cover crops serve not only to attract nature’s natural pesticides and form greater biodiversity, the crops also minimize the erosion on the inclining vineyards. 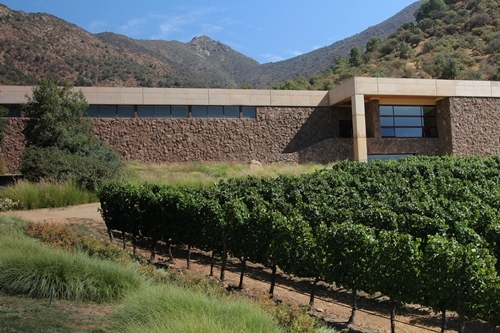 The winery building and its modern architecture blends in well with the surrounding environment, despite its considerable size. The original sculpture depicts the Altaïr star and some of the Aquila constellation. 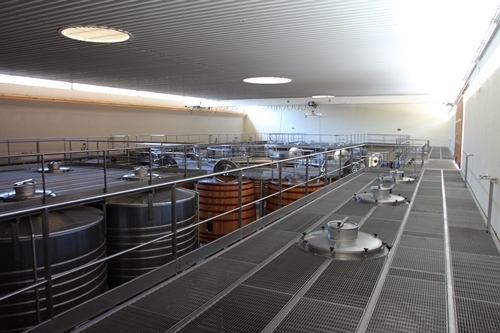 Since the beginning in 2001, the goal has been to create the best wine possible, and they have invested a fortune in state of art equipment for their cuverie. 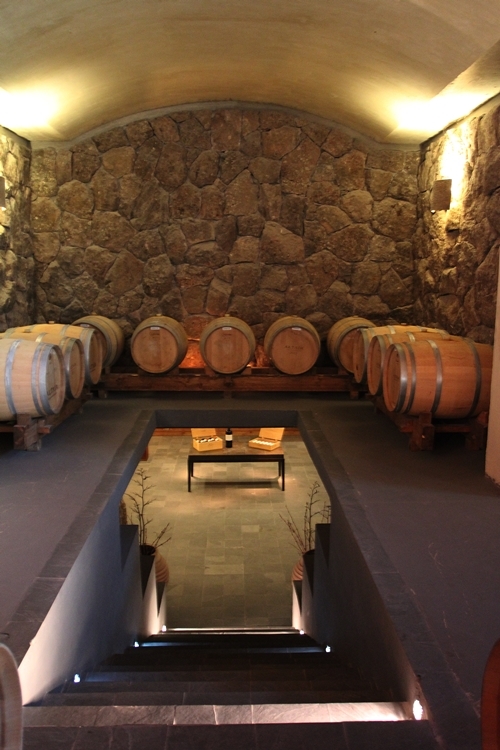 Their barrel room, where both the Sideral and the Altaïr spend approximately 10 months. 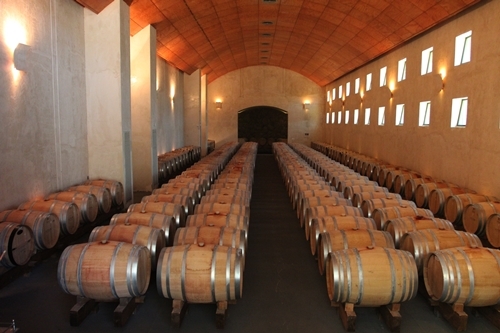 They only use French oak and the ageing of the wine is done in both new and used barrels. The relatively short barrel ageing gives more fruit-driven, pure and elegant wines. 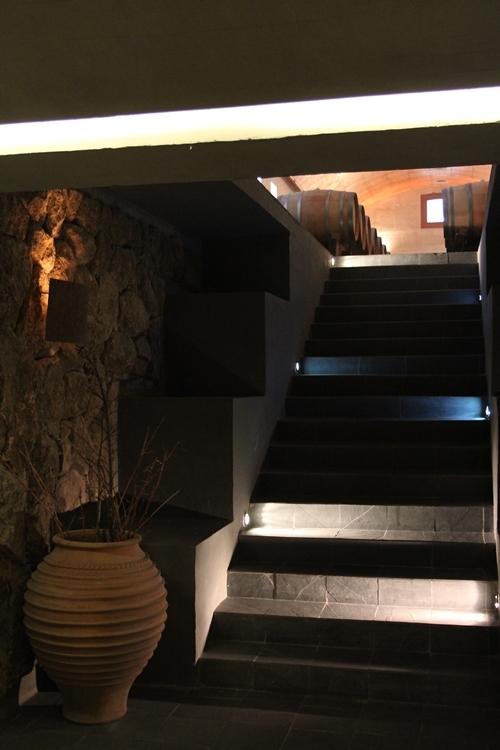 A view down the stairs into their wine cellar. The wine cellar seems quite empty, due to their rather short history (only going back to 2002). 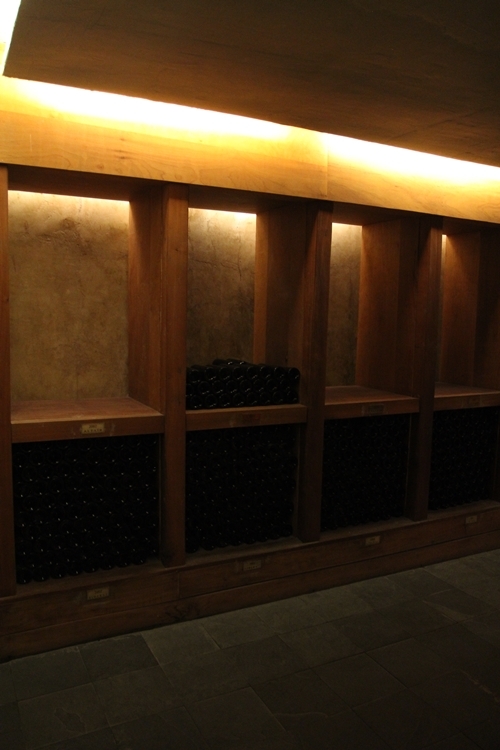 The cellar is designed to hold a full collection of Sideral and Altaïr. Staircase linking the wine cellar to the barrel room. Their tasting room and its extravagant outlook. We tasted their Icon “Altaïr” from 2009 and their 2nd wine “Sideral” also from 2009. Qualities are very high in both releases! The significant price-difference between the two, makes notably their 2nd wine Sideral a real bargain. It is though only Altaïr that is made solely from the extraordinary fruit that surrounds the winery. 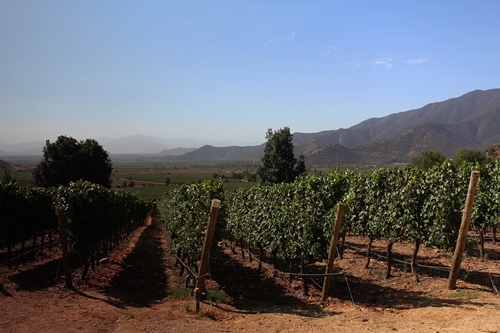 Sideral is instead made of fruit from both Colchagua and Cachapoel. 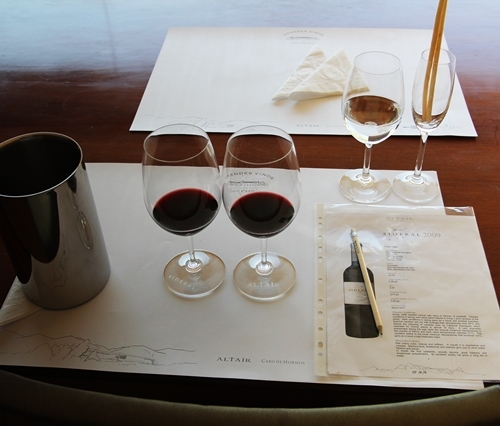 The 2009 Altaïr is a blend of 79% Cab. Sauv., 9% Syrah, 6% Cab. Franc, 4% Petit Verdot, and 2% Carmenère. It seemed very young, with an extremely clean palate of dark fruits, and hints of liquorice and aged balsamico. Immensely elegant and pure. The 2009 Sideral is a blend of 75% Cab. Sauv., 12% Syrah, 10% Carmenère, 2% Petit Verdot, and 1% Petit Syrah. A little less concentrated and dense than the Altaïr, it seemed though more complex, with multiple layers of pepper, wild game, and spice.